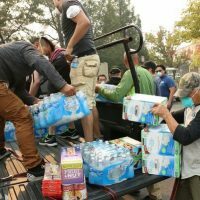 There are many heroes who deserve recognition for what they did to help the Napa Valley community since the fires broke out on Sunday, October 8th. We at 99.3 acknowledge and thank all of the first responders for their kindness and bravery. As we have talked with these first responders and all of you that have called us, we realized there are great stories of people who did really courageous, caring things to help neighbors and animals. Their stories have not really been told. We would like to change that and tell the stories of the “Unsung Heroes”. If you have such a story, please submit it below. We will post them on a page here on our website and read some of them on the air as well.